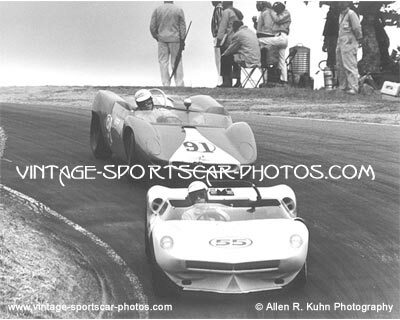 There are 23 photographs of Laguna Seca Raceway featured on the website. 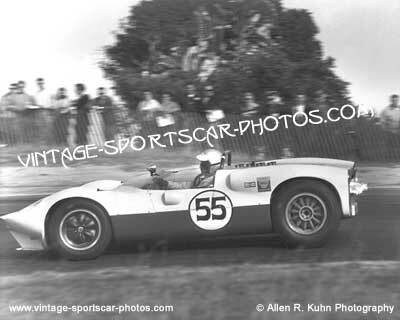 Laguna Seca Raceway is located in Monterey County near Salinas and Monterey, California. 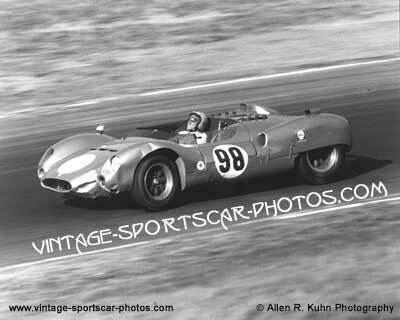 Below you can find photos including sportscars of Shelby King Cobra, Chevy Chaparral, Scarab-Olds, Porsche, Mercedes Benz 300SL, and Abarth.